Gap is the go-to store for all-American basics like blue jeans and soft t-shirts. The look is casual but put-together. Gap got its start in denim, and is still a great place to get mid-priced jeans in a wide range of washes and styles. Gap also has workout, maternity, and underwear and sleepwear divisions. Gap is the flagship company of Gap Inc., which also includes sister brands Banana Republic, Old Navy, Piperlime, and Athleta. Gap stores have become ubiquitous on the American shopping scene and are found in many a local shopping mall. They are increasingly common internationally as well. Visitors to gap.com can move easily between the sister company websites and can combine their purchases in one shopping cart. Purchases from each company can be combined to add up to $50 and qualify for free shipping. 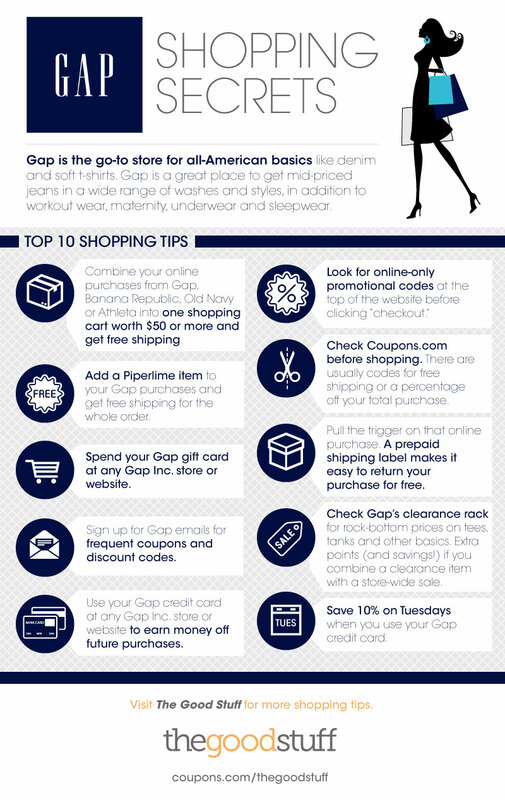 Look for coupons before shopping online at Gap. Gap Factory stores can be found in outlet malls. They sell Gap-style clothes designed and manufactured just for Gap Factory at more budget-friendly prices. Orders under $50 arrive in three to five business days for $7. Expedited options are more expensive. Any order of $50 or more ships free in seven to nine business days. You can combine items from Gap, Banana Republic, Old Navy, Piperlime and Athleta to reach that $50 total. All Piperlime items ship for free in three to five business days, so adding just one Piperlime item means free shipping for the whole order. You have 45 days to return or exchange any unwashed, unworn or defective Gap purchase. Online purchases can be returned by mail with the prepaid return shipping label or brought to a Gap store location. Some items marked “Mail Only” cannot be returned to a store. Refunds are in the form of the original payment, and final sale items cannot be returned. Combine your online purchases from Gap, Banana Republic, Old Navy or Athleta into one shopping cart worth $50 or more and get free shipping. Add a Piperlime item to your Gap purchases and get free shipping for the whole order. Spend your Gap gift card at any Gap Inc. store or website. 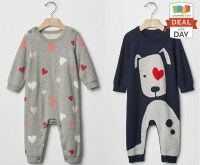 Sign up for Gap emails for frequent coupons and discount codes. Use your Gap credit card at any Gap Inc. store or website to earn money off future purchases. Pull the trigger on that online purchase. A prepaid shipping label make it easy to return your purchase for free. Check Gap’s clearance rack for rock-bottom prices on tees, tanks and other basics. Extra points (and savings!) if you combine a clearance item with a store-wide sale. Print out or email last-minute Gap gift cards. Save 10% on Tuesdays when you use your Gap credit card.